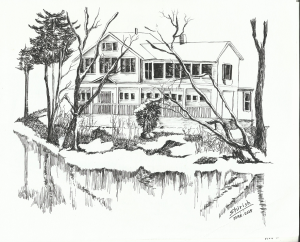 A house in NJ – Winter time! My cousin in NJ, USA, sent some pics of winter in NJ. 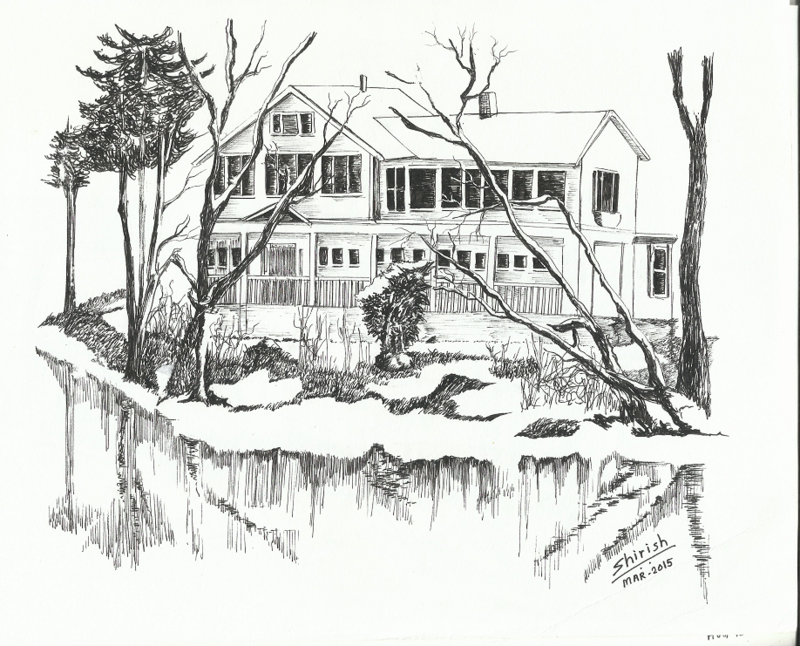 I did this pen and ink sketch of a house from one of the backgrounds of his pics :-). Had fun drawing the snow and overlapping branches! She is my best friend, my life partner and my soul mate. 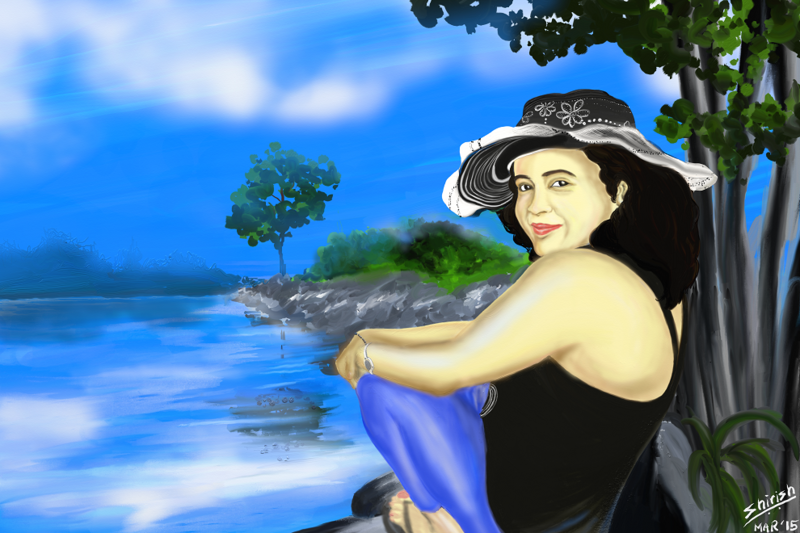 She is a damsel who always inspires me in the time of my distress. She is a loving mother to her children and the most encouraging soul in my life. A beautiful and calming artificial waterfall and a pagoda like structure overlooking it @ J W Marriott hotel, Dubai. Drawn in pigma ink pens. 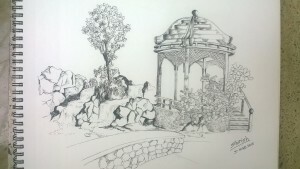 Total drawing time = close to 3 hours.